You either like James Blake or you don't there's rarely any middle ground. His new album is an incredible painted picture of an emotional landscape told beautifully on an icy wind. That may seem dumb to say but this album inspires alot of lofty and absurd ways to explain the entire body of work Blake has created. 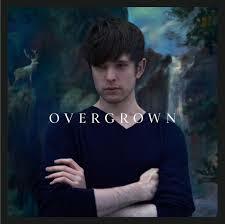 Overgrown is my favorite track thus far. It's beautiful. The theme of "time passes at a constant rate" and things tend to get out of control. He pleads that "I don't want to be a star but a stone on the shore" meaning that he doesn't strive for anything other than consistent and lasting happiness. If you want something you can listen to that you can chill to, create to, or you just love awesome music I can't recommend this enough.